March of Dimes leads the fight for the health of all moms and babies. We’re advocating for policies to protect them. We’re working to radically improve the health care they receive. We’re pioneering research to find solutions. We’re empowering families with programs, knowledge and tools to have healthier pregnancies. By uniting communities, we’re building a brighter future for us all. The YMCA of Metropolitan Dallas is the largest human care organization in Dallas, established in 1885. With a mission to put Christian values into practice through programs that build a healthy spirit, mind and body for all, our impact is felt when an individual makes a healthy choice, when a mentor inspires a child and when a community comes together for the common good. 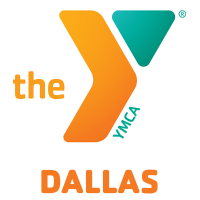 The Dallas YMCA serves 7 counties and operates an additional 90 program sites.